Harry Potter is dead and buried… in Israel. 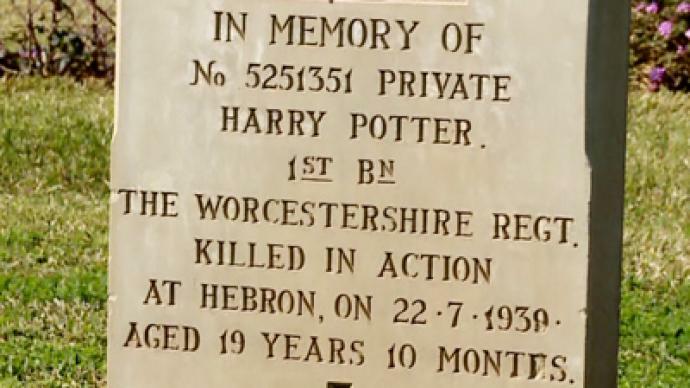 A grave in the Holy Land is now an unlikely tourist attraction, because the person buried there is one very real Harry Potter, a forgotten soldier of a forgotten war. ­Although it is the final resting place of a teenage British soldier killed decades ago, that has not stopped wizard fans from flocking to visit. Yet this Potter story is very different. It has a somewhat different plot, and anything but a happy ending. 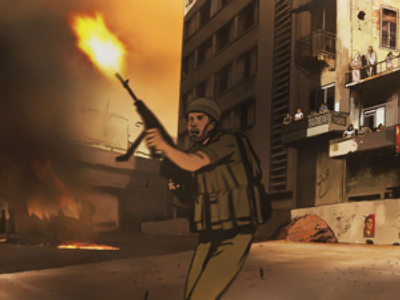 “This Harry Potter signed up to the British army when he was only 16 or 17 years old,” explained Israeli tour guide Ron Peled, noting that the boy lied about his age to get into the army. He couldn’t cheat death, however, and died in battle near Hebron in 1939. Decades later, wizard Potter’s fans found out about the grave, which Israeli authorities had long ago forgotten. “A few years ago we started getting all these phone calls. We didn’t even know the grave existed,” confessed Ofer Toder, general director of Ramla Town Hall. But word spread fast, and now the otherwise unremarkable Israeli town of Ramle is firmly on the tourist map. Potter’s grave attracts as much attention as ancient archaeological digs in the area. The two Potters are similar in name and age, and both are heroes, but that’s where the similarities end. The real Harry Potter was from a village near Birmingham in England and was dispatched to British Mandate Palestine a year after joining the army. As for the world’s most famous boy wizard, he has fallen foul of Israel’s rabbis after the last installment of his book was launched on the Jewish Sabbath. Many religious Jews also forbid their children from reading his tales: they say its pagan content is forbidden in Judaism. The real Harry Potter, it turns out, is not the only famous literary name to be buried in Israel’s military cemeteries: There is also a grave of none other than William Shakespeare. Very little is known about the Bard’s namesake, aside from the fact that he, too, was British and a soldier.